"Brody had known all along. He'd rebelled against it --- he still rebelled against it --- but some essential piece of his being knew. A metaphysical sensor light had blinked on. He was dead. This was the afterlife." Most of the human beings on our planet believe in some form of life after death. Whether we go up, down or merely transmit our energy out into the universe, people have some opinion on what happens after we take our last breath. 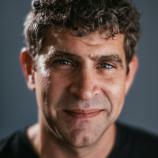 Visionary author Marcus Sakey has created his own version of what happens when we “shake off this mortal coil.” The fact that producers Ron Howard and Brian Grazer thought enough of Sakey's vision to have already purchased the film rights to the book tells me it was definitely a work worth diving into. AFTERLIFE is dedicated to Sakey's readers and fellow dreamers. Fans of sci-fi, fantasy and thriller fiction will find plenty to sink their teeth into here. The novel opens with an interesting passage set in the year 1532 aboard the British ship Persephone. A young man named Edmund is the lone survivor of this ill-fated voyage that saw the crew reduced to cannibalism on their departed fellow sailors in order to survive. He settles into his own personal hell, washing up on an unnamed island. 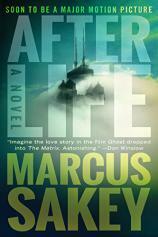 "AFTERLIFE is a genre-breaking work that is extremely satisfying. I only hope Ron Howard's film treatment does it justice." We then jump to the present and meet up with FBI agent Will Brody and his boss/lover, FBI task force leader Claire McCoy. They are based in Chicago and on a mission to bring down Simon Tucks, a terrorist. Will finds himself in a booby-trapped building that erupts in an explosion that instantly kills him and most of his team. Instead of a white light, deceased loved ones or pearly gates heralded by angels playing harps, Will finds himself back in Chicago. A version of Chicago, that is. He is in a place called Afterlife, and it looks and feels exactly like the Chicago he just left. The difference is that the inhabitants, a very close-knit group, exist without any power (electricity, fire) and refer to themselves as echoes. Will is befriended by a guy named Kyle, who attempts to show him around and teach him the rules that govern their plane of existence. The most frightening thing is the fact that they can still die. There are those out there called eaters who devour souls. It is one thing to accept that you are dead, and a different thing entirely to find yourself in some sort of post-life weigh station where many of the fears you had while alive are still present. More than anything, Will and Claire want to be together again. When Claire dies in the real world, she finds herself back with her beloved Will in Afterlife. They struggle to keep up with the new ways of “living.” If you devour enough energy, your new existence gets better; do it enough and you can live forever. More disturbing than these new rules is the fact that the head of one of the eater gangs is Simon Tucks --- the same person responsible for both of their deaths. They eventually get their revenge on Tucks, but with a price. Claire dies a second time, and now Will has no idea where her soul has gone. As Will struggles with this new dilemma, he comes across a strange women named Isabella, who claims to be relatively immortal and points Will towards a “God” who currently rules this realm. It turns out to be a young man named Edmund --- the very same Edmund we read about in Chapter 1 on the deadly Persephone voyage. Will comes across some sort of totem that protects from almost everything and everyone, even Edmund. How can Will reunite with Claire while defeating a God who has existed for centuries? In addition to the numerous mind-bending elements Marcus Sakey has thrown at us here, there are several references to THE DARK TOWER. The man in black fled across the desert, and the gunslinger followed. That classic opening line from Stephen King's cult novel is quoted more than once. I must confess that my only prior knowledge of Sakey was a book of his I read some years back, THE TWO DEATHS OF DANIEL HAYES. Based on the pleasure I received while reading his latest, I plan to look into more of his previous titles like the highly touted Brilliance trilogy. AFTERLIFE is a genre-breaking work that is extremely satisfying. I only hope Ron Howard's film treatment does it justice.